Actually, that’s the worst way to start a story. The first rule of storytelling is: never say the “s word”. As a communicator who has operated in many buttoned-up business settings, I’ve often been tasked with creating inspirational messaging that resonates with key stakeholders. Intuitively I knew the best way to connect with the audience, and thus change their minds, motivate their actions, and influence their decisions, was by touching their hearts with a poignant story. Yet I struggled to draw stories out of many leaders. Try as I might, executives and managers resisted my efforts. Perhaps it was fear of appearing vulnerable or unprofessional, or perhaps it was performance anxiety, but storytelling was not on the table. Many times, the best I could get out of them was a generalized example, or perhaps an analogy. Neither of those are stories, and neither of them pack the emotional punch I sought (nor the full results they intended). I had no idea what expertise Shawn had, but I’m always open to networking opportunities. A quick click of Shawn’s Twitter bio and Anecdote’s website, followed by a Twitter conversation, which turned into an email conversation, and led to a meeting in New York City, then two week later, I was in Los Angeles to experience Storytelling for Leaders myself. I was immediately hooked by the idea that it was possible to incorporate pointed, strategic stories into any business environment. This isn’t acting lessons – no Shakespeare or fables here. 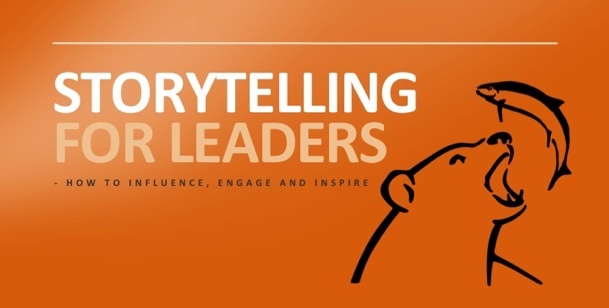 This is storytelling for leaders. A leader is anyone who needs to influence, engage and inspire people. That’s pretty much all of us. Now I’m thrilled to announce that I am Anecdote’s first partner in the U.S. who will be certified to deliver Storytelling for Leaders program. If you want to learn more about bringing this program to your company, contact me. The program itself is much more than a one-day workshop. Not only do participants learn how to spot, tell, and trigger stories, they also practice their story telling technique through a deliberate practice program that encourages behavior change and reinforces learning by engaging the workshop participants for six months after the workshop. The results are that minds will be opened, patterns will be broken, and change will occur. It can’t be helped. That’s the power of story. Organizations are changing quickly. Structures are flatter and reporting lines more complex. Staff and customers are spread around the world. And everyone is deafened by the ‘noise’ of information inundation. Yet the modern leader still needs to be able to influence and persuade in this constantly fluid environment. Story-triggering involves a leader doing something remarkable enough that it inspires people in the organization to recount what happened. We show you how you can do this successfully. A full one-day workshop. The workshop is highly interactive as we strongly believe in the power of practical activities to foster learning. Throughout the day you will engage in hands-on activities designed to build your storytelling skills and confidence. See the workshop in action here. Our unique Deliberate Practice Program (DPP). This workplace-based program includes six modules, spread over six months, which will embed and enhance what was learned in the workshop. Most of the learning you do will occur during in the workplace, during the DPP, rather than in the workshop.